One of the most common questions we get when visitors see a bear in Yosemite is, “How old is that bear?” Knowing a bear’s age can help us understand a lot about its behavior and how to manage it. If a bear has been managed since it was young, we know exactly how old it is. If bears are first captured when they are older, biologists use tooth wear as an indication of a bear’s age. 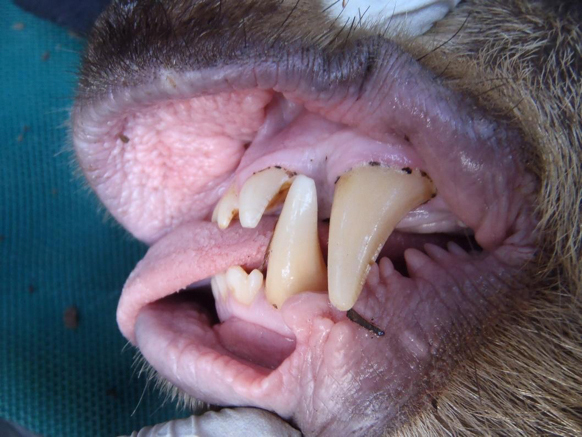 Determining if the canine teeth are worn, the level of wear on the incisors, and the presence or absence of dentine spots, all place the bear into a certain age category. Bears are classified as either a cub (<1), yearling (1), sub-adult (2-3), new adult (4-7), middle-aged adult (8-15), or old adult (16+). Bears are omnivores and eat both plants and meat, and their jaws are a combination of sharp canines and flat molars. From chewing grass, to cracking acorns, to eating carrion, a bear’s teeth are essential to their survival. As a bear ages, their teeth become worn down, rounded, and discolored. 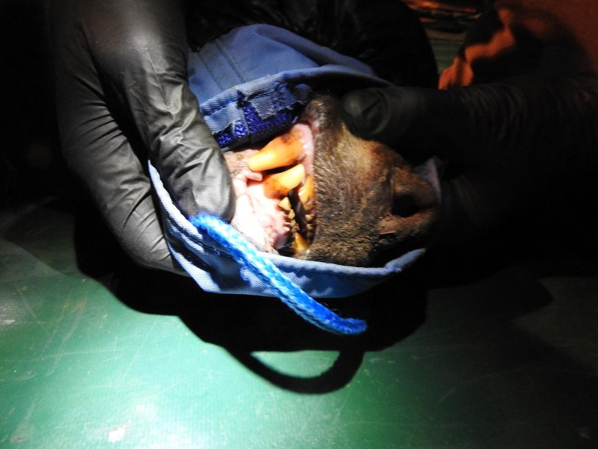 This bear still shows signs of good health despite her tooth wear and has been denning since December 2018. Worn teeth make it increasingly difficult for a bear to chew natural foods, and can lead to conflict with humans if a bear obtains human food that can give a bear a much easier intake of calories. You can help us keep these and other wildlife wild and healthy by always keeping your food stored properly when in bear habitat and respecting all wildlife by keeping your distance.